A Kim Possible Reboot Is Heading Our Way! Can we get a “booyah!”??! I mean this cartoon was or if not (remains) one of our favorite childhood shows in the mid 2000s. Kim Possible has captured our hearts because of its lovable characters as well as the writing that was too relatable. We love strong female leads – especially one who can save the world at the same time rocking cargo pants and master bad hair days. This time around, we will be watching her and her friends in a live action Disney Channel Original movie. After 16 years since the release of the original 87 episodes animated series, followed by two successful movies, Disney announced to the world on Wednesday of their plans of making it into a live action reboot. 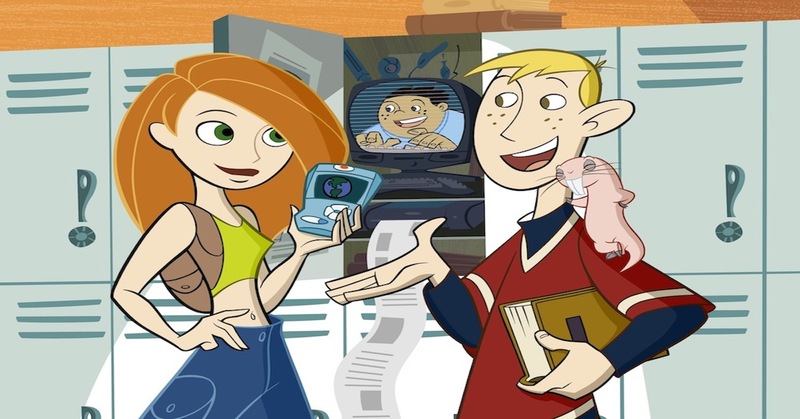 The studio is currently in the process of casting its titular character, Kim Possible, a regular high school girl, who in her free time, save the world from evil villains like Drakken and Shego with the help of her side kick (and eventual bf), Ron Stoppable, his pet naked mole rat, Rufus and 10-year old computer wiz, Wade Load with the help of casting director, Blyth Nailling. The voice actors and actresses who voiced one of few main characters was non other than Christy Carlson-Romano (Even Stevens) who voiced Kim and Will Friedle (Boy Meets World) as Ron in the series. The original creators of the show, Mark McCorkle and Robert Schooley, also the executive producers will be back to write for the movie script alongside with Josh Cagan and Zanne Devine. The movie will be co-directed and co-produced by Adam B. Stein and Zach Lipvosky. The premiere date is unavailable at the moment since castings are underway. It is also unknown whether the theme song for the original series, “Call Me, Beep Me” (which is a bop btw) will be used in the movie but we certainly hope so! Can someone please call Christina Milian or even beep her to see if she’s up for a remix of the theme song, pretty please? Let us know down below your ideal actress to play Kimberly Ann Possible as well as other actresses and actors that make the remaining dream team because dream cast starts right about now!